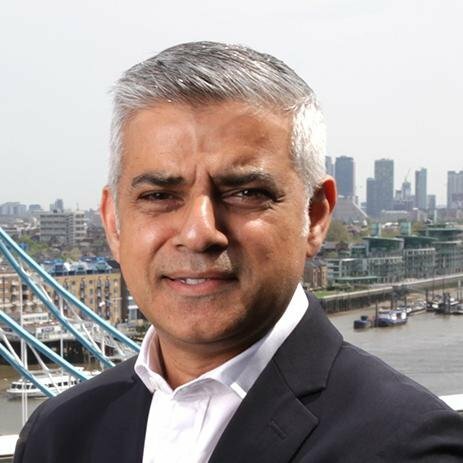 The Mayor of London, Sadiq Khan, today laid out bold detailed proposals for delivering the Central London Ultra-Low Emission Zone (ULEZ) in 2019, a year ahead of schedule, extending the ULEZ to the North and South Circular in 2019 or later, and started the formal consultation necessary to introduce the ‘T charge’ for older polluting vehicles in October 2017. The proposals are part of the Mayor’s second air quality consultation led by Transport for London (TfL), which follows on from the initial round of consultation last summer, which attracted a record 15,000 responses. New City Hall research* shows that people living in London’s most deprived communities, often by busy roads, are on average exposed to 25 per cent higher levels of harmful NO2 pollution. It is estimated that the equivalent of 9,400 premature deaths occur each year in London due to illnesses caused by long-term exposure to air pollution and 448 schools in London are in areas exceeding legal air quality levels. Diesel vehicles are recognised as a major contributor to pollution and associated health impacts in London and the Mayor wants to phase out these vehicles from the bus, taxi and other fleets. 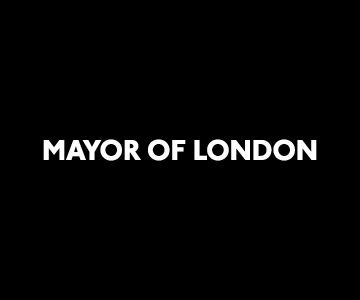 The Mayor launched the new consultation whilst visiting St Saviour’s and St Olave’s Church of England Secondary School in Southwark, situated off the busy, traffic heavy, New Kent Road, an area that would be included in the Mayor’s proposals for ULEZ expansion to the North and South Circular. The head teacher wrote to the Mayor earlier this summer to highlight her concerns about pupils being exposed to high levels of air pollution from traffic. 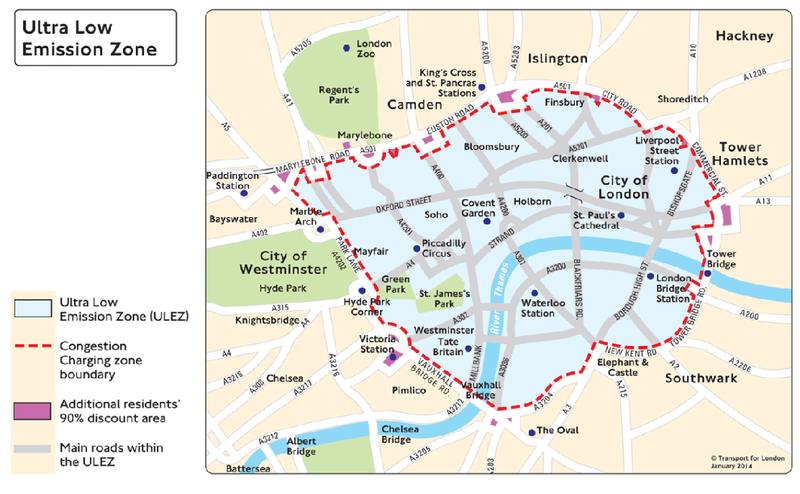 The consultation gives Londoners’ the opportunity to have their say on the preferred date for the start of an expanded Ultra Low Emission Zone – which is up to the North South circular for cars, motorcycles and vans, and in central London for buses, coaches and lorries.. Options include as early as 2019 to 2021 or later. Depending on feedback the Mayor will ask TfL to develop these potential options into detailed statutory proposals for consultation next year. The proposed Emissions Surcharge (T-charge) would apply to older polluting vehicles driving into the Congestion Charge zone from October 2017. This charge would be in addition to the Congestion Charge and would apply to vehicles that do not meet the Euro 4/IV emissions standard for NOx and PM emissions. Pre-Euro 4 vehicles are generally those registered up to and including 2005. 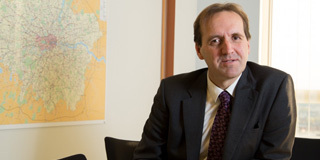 The charge, costing £10 per day for non-compliant vehicles, would operate at the same times as the Congestion Charge (Monday to Friday, 07:00 – 18:00). The Mayor has also called on Government to put in place a national diesel scrappage scheme to help people replace vehicles affected by the proposals. There was overwhelming support for this in the first round of his consultation. He also wants fiscal incentives, like vehicle excise duty, to be reformed so they support the Mayor’s proposals and encourage people to own and use the cleanest vehicles. To further support the ULEZ, TfL is leading by example and will ensure all double decker buses operating in the ULEZ will be hybrid and all single decker buses will be fully electric or hydrogen. The consultation closes on 18 December 2016. A further final consultation will take place in early 2017, which will take into account the views from this consultation and propose statutory changes to the ULEZ. ← Are you ready for China?